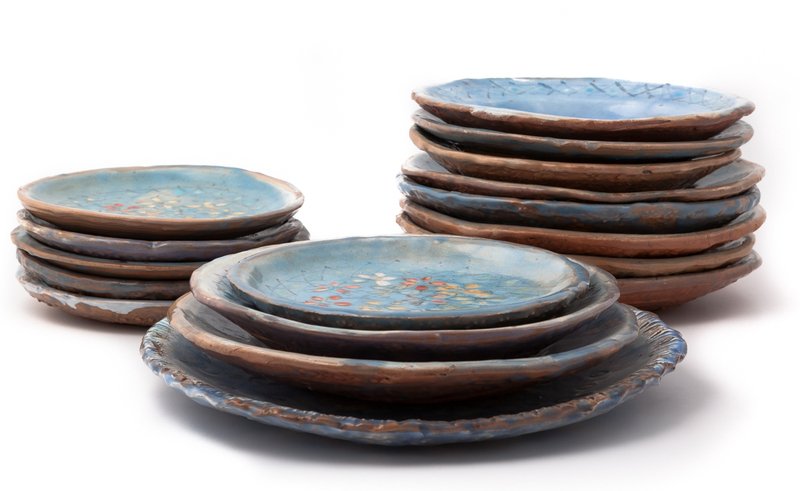 The original and irregural surface of the plates is the core feature of this set, that traditionally includes dinner, soup and dessert plates, that may also be diversified upon request with underplates and coasters featuring the same decoration. 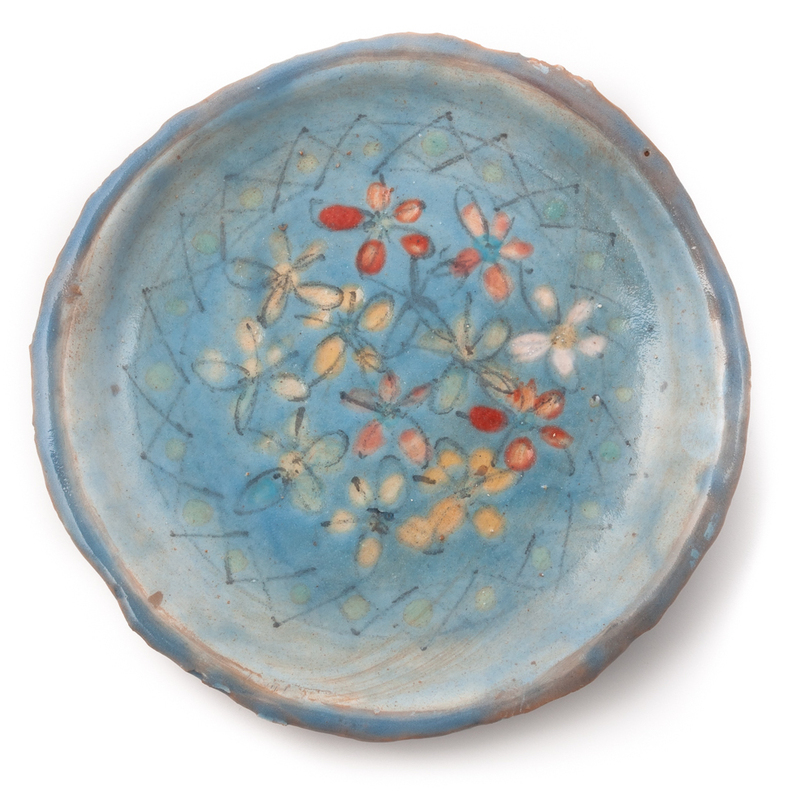 The decoration is indeed the leading thread of the collection, different in each piece, with variations of light blue shades, underlining the potter's pictorial skills, providing different stylized models of the plant world. Conceived as an object of daily use, despite the strong artistic connotation, it is made with non-toxic lead-free materials.